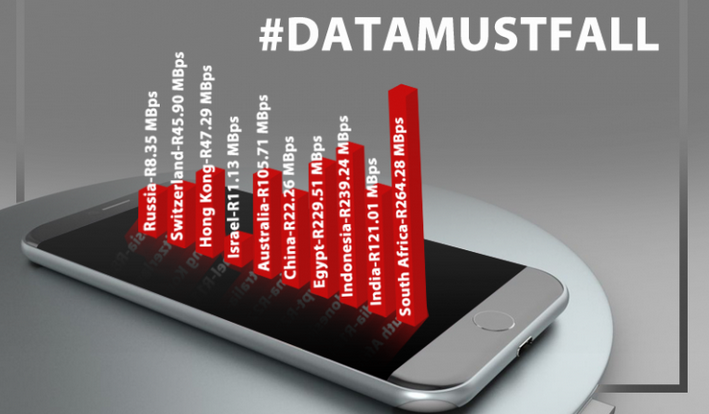 It is no secret that mobile data costs in South Africa have always been high. Consumers have been complaining for some time and this recently came to a head in 2017 with the #DataMustFall movement. Finally, parliament listened and started to put pressure on governing body ICASA to implement changes. To an extent, this has happened but there is still a long way to go. While the high costs are unacceptable, the networks do have their challenges. First and foremost is the spectrum allocation debacle that has been playing out since 2006. No new spectrum allocations have been made for more than a decade. Simply put, the lack of spectrum is forcing networks to spend more on infrastructure costs, a cost that is paid by the consumer. Better and more spectrum allocation will also increase competition which will also lead to reduced pricing. ICASA has a lot to answer for. Quality, fast and affordable data is essential for growing the economy, business development and outside investment. One issue still to be addressed is the vast disparity between out of bundle (OOB) or per megabyte costs vs. the cost for a larger data bundle. Essentially, someone paying per MB is paying 10 times more than those with a 1 GB bundle. This seriously disadvantages those that cannot afford data the most. This OOB rate has improved slightly and the warnings and notification when you go out of bundle is much better. You are now warned and have the option to continue at the higher rate, buy an additional bundle or limit your data usage. The rollover of unused data has also improved. Change is slow but it is heading in the right direction. Although mobile data rates in South Africa are comparatively very high, beware of how these are sometimes reported in order to sensationalise the situation. While the networks in South Africa do have their challenges the big players are certainly making great profits. Competition is still insufficient to cause major changes so it will be up to the consumer to continue with the pressure on the government and ICASA to ensure more change.